After a surge in late February and early March, the growth-rate has dropped back into its recent range of 5.50-5.75%. Perhaps it has topped-out, but that remains to be seen, and 5.5% is a very healthy growth rate. In any case, there is no chance that anything catastrophic happened in the jobs market during the month of March. 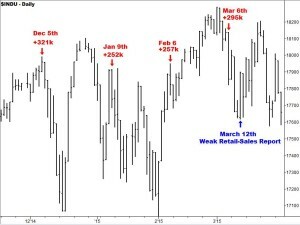 As you can see, the market made substantial pullbacks after all but the February 6th report where it only dropped for two days. 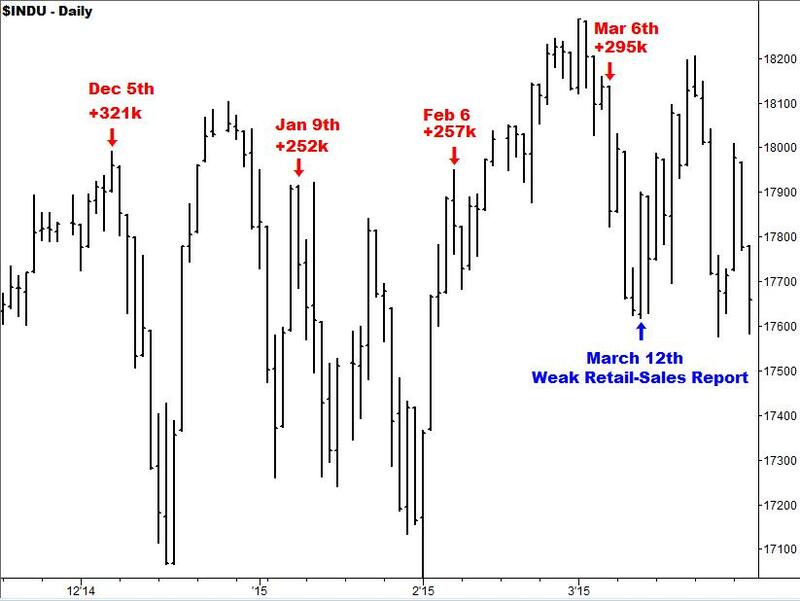 Also, notice how the market dropped after the March 6th report until March 12th when a terrible retail-sales report was released. Economists were expecting an increase of 0.6%, and the number printed at -0.1% – a huge miss. But the market rampaged higher all day, and for several more days. So, the moral of the story is that bad news is good news as the market trembles before possible Fed interest-rate hikes. This dynamic won’t continue forever, of course. If the Fed were to make a tiny increase, say a quarter point, and the world didn’t explode, then investors would likely stop worrying so much. 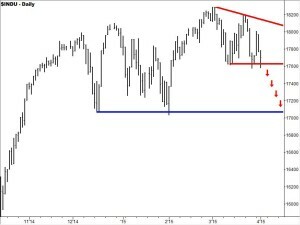 But until we see that, we have to assume that the market will continue to correct on good news and rally on bad news. Also, the market rallied up to the last four jobs reports, which is not the case this time, barring a huge rally on Thursday. 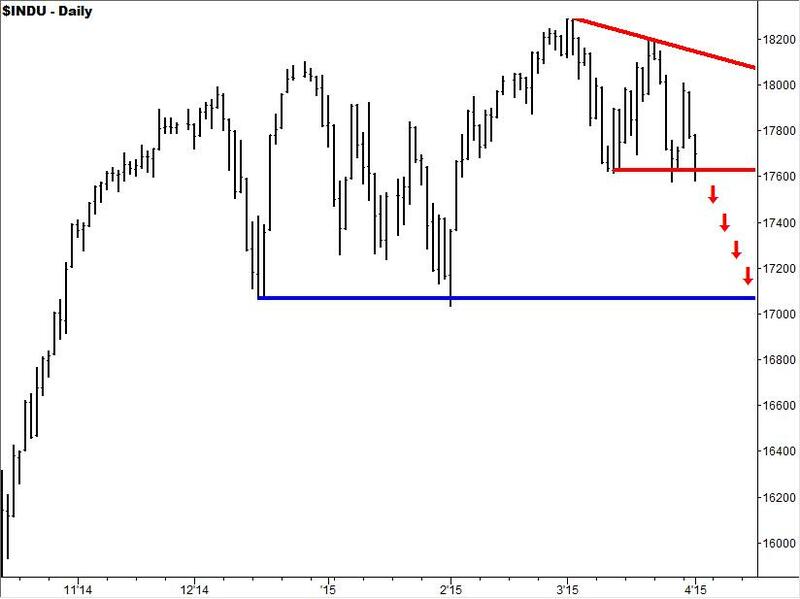 So this report is occurring in the middle of the 2015 trading range, and may consequently have a smaller impact. The stock market will be closed for Good Friday when the jobs report is released, however futures will be trading until 9:15am ET. 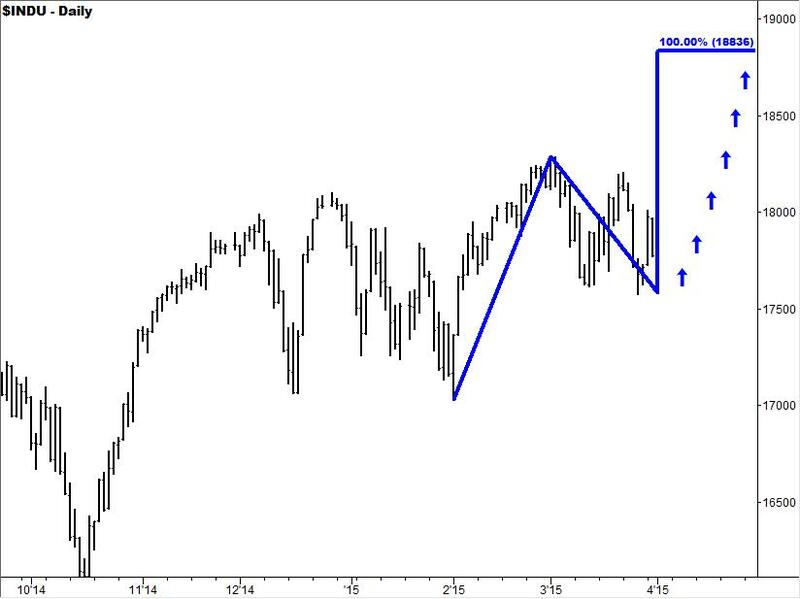 So, we will have 45 minutes of reaction in the futures, and then of course, the usual open at 6pm ET on Sunday night. 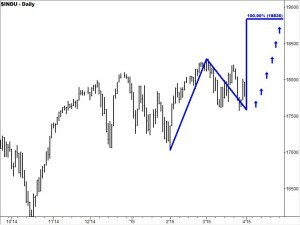 The “front month” is the June contract, designated as “M” and the year is 2015, so the full symbol might be ESM15 for the S&P 500. I say “might” because there is a lot of variation from system to system. Delayed quotes are available for free around the web, including at the CME and Barchart.com.